India and Pakistan celebrated its 70th Independence Day on 14 August 2017, with historic rival India following one day later. A National Anthem Mash UP Video is going viral in social media this video was published by the Facebook page Voice of Ram on Sunday afternoon. By Monday morning, it raked up 330,000 views, was shared by more than 9,000 people, and at least a thousand commented on the video. By This new song hopes to encourage tolerance – by uniting the countries’ national anthems. 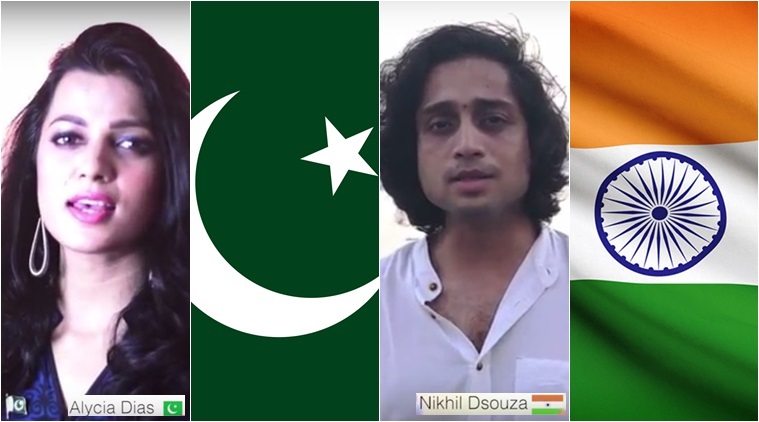 The “peace anthem” features singers from both Pakistan and India. The mash-up is an initiative in the right direction to remind the citizens of both countries about the glorious past we share and to heal the wounds of partition. Earlier, the same group did a video on Indians singing Pakistan national anthem to send a powerful message of peace, unity, and brotherhood. That Video posted on Facebook on August 11, has scored 468,000 views. It features an Indian a capella group, Voxchord, singing Pakistan’s national anthem – which it calls “a song about faith, pride, and grandeur, of power, progress and perfection”. This Mash up video is a great gesture and is the testimony to the fact that the people from both countries can make great things together and do not hate each other as depicted by media.